Okay, okay, I know that there will be people out there who immediately comment on this post saying that NO alcohol is part of a truly “clean” eating lifestyle. Well, sue me. I’m loving my newly started clean eating journey (read more about it here) but this lady right here also loves to have a nice cocktail every now and then. Since I’m on my cruise right now (today is a sea day-we’re traveling from Nassau to St. Thomas!) and you’re all getting ready to celebrate Cinco de Mayo tomorrow, there’s no better time for us all to settle down with a classic Mojito! Mojitos are a classic Cuban cocktail usually made with lime, white rum, sugar or simple syrup, mint and sparkling water. They are a great skinny cocktail because they have a relatively low alcohol content and are the perfect summer drink-so refreshing! To keep this minty cocktail skinny and clean-ish I’ve replaced the white sugar or simple syrup with a simple combination of honey and water. Using organic rum makes it even better-I like this one, it’s organic, fair trade, and highly rated. In a small bowl, mix lime juice, honey, and water. Add mint leaves. 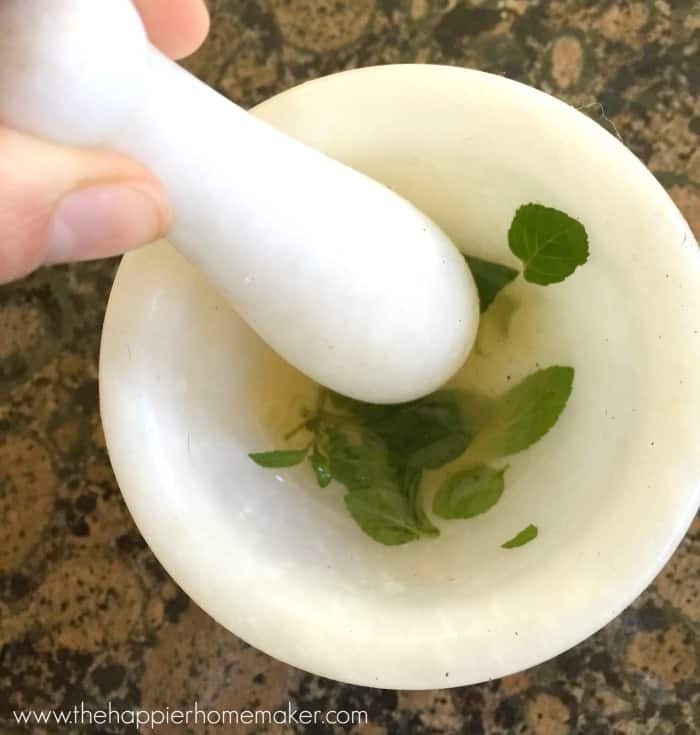 Muddle the mint leaves in the liquid-muddling is simply crushing or bruising the leaves to release their essential oils/flavors-you don’t want to chop them or shred them-this won’t get you the flavor. Add ice to a glass. Pour mint mixture into glass and top with rum and seltzer. Garnish with a lime and mint sprigs. I hope you all love this cocktail-I’m hoping to pop into some wifi in the next few days to share some pictures of the vacation so be sure to follow along on Instagram or Facebook! What a great idea. I hope you’re having a good time on your cruise. Looks like a great recipe. Enjoy your mojito Momma, and your vacation! Enjoy your cruise! 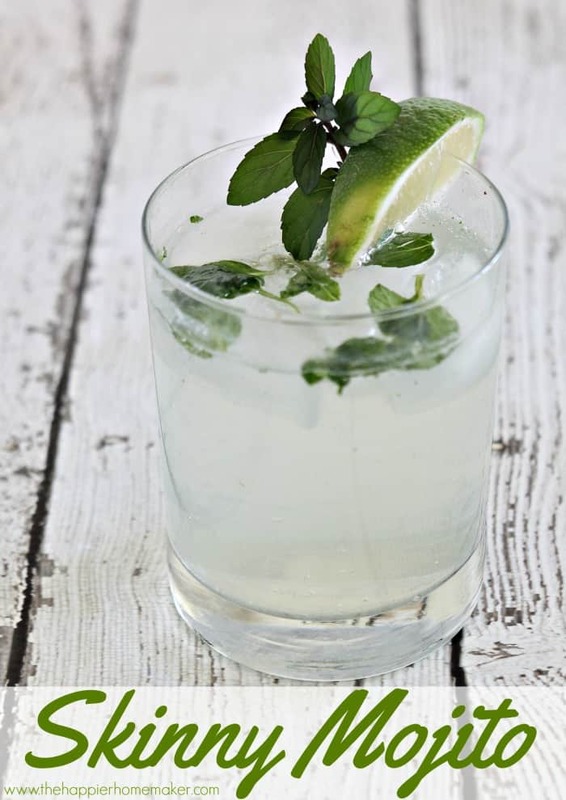 Great idea to lighten up a Mojito, and thank you for all your wonderful recipes, ideas and tips. I look forward to your emails and feel like I have a new friend as you welcome us into your happy life each week.